I got some email about my previous blog (A Conference Experience Like No Other) asking me why Logo faded from the limelight after much hype about its potential to transform education. 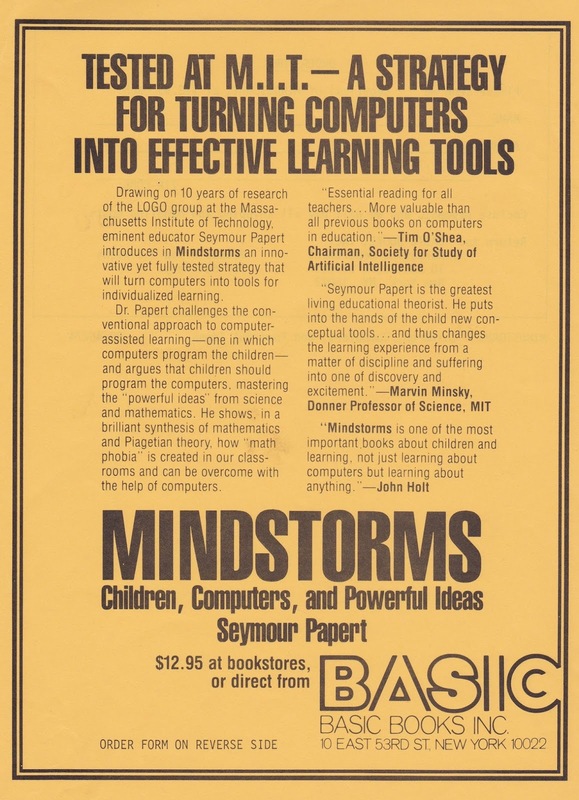 When Logo first came on the scene after Mindstorms was published (1980) enthusiasm about its potential for educational reform grew. Not only was Logo the first significant piece of educational software that included programming, but was also a catalyst for much discussion in schools about its potential for effective teaching and learning. Other educational software began to emerge from publishers like MECC and Sunburst but it was mostly of the CAI and drill & practice variety. Computer Literacy emerged as an important competency and learning how to program was a big part of it. By 1983 already there was grumbling about programming. Fred Hechinger in a New York Times article (July 26, 1983) wrote that the school's approach to computers was wrong in focusing on programming and drill and practice. He quoted Marc Tucker (prominent at the DOE at the time) as saying that teaching BASIC to kids makes them think crooked, if at all. Teachers were also not happy with having to learn to program in BASIC or Logo for that matter because it was time consuming. 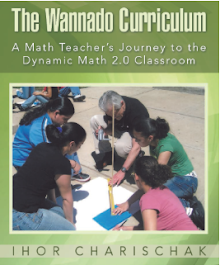 But still there were plenty of Logo enthusiasts who saw Papert and Logo create a new culture in the classroom that was student centered and teachers were "guides on the side." 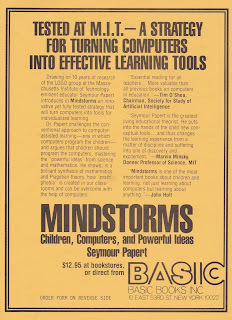 Critics began to surface and Papert had to come to the defense by explaining Logo's role as a microworld for learning which can be used ineffectively without proper understanding of how Logo should be used. There was one significant study that was done by Roy Pea and D. Midian Kurland of the the Bank Street College Center for Children and Technology that probably did the most damage. As you might expect this study made Papert furious mostly because he thought the students in the Logo experience group learned a little Logo and not much else so the results were not surprising. Pea fired back defending the experience by claiming that Bank Street was well versed in guiding students so that they have the Logo experience. There were other studies that showed positive results of the Logo experience, but the damage was done. Papert and MIT hosted several Logo conferences (Logo 84, 85 and 86) that I participated in that were intended to counteract the negative press. 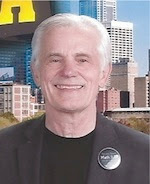 At the final session of Logo 86, Brian Harvey author of several Logo texts, held a session entitled "Whatever happened to the Revolution?" referring to Logo, of course. Geraldine Kozberg, director of staff development in the St. Paul, MN school district, who kept the Logo spirit alive in her district for the next 10 years spoke about Brian's talk at Logosium 96 conference in St. Paul. She had the same title as Brian's: What ever happened to the Revolution?" You can read her transcript here. Well worth it. 2. In 1997 of CLIME does one more name change. It becomes the Council for Technology in Mathematics Education. Though Logo is dropped from the name, its spirit lives on. It just means that Logo has a lot of good company on the software shelf these days.